I am in the Holy City again and it is beautiful here. I had a great time at Blue Bicycle Books--thanks to Cameron and Jonathan for being such great hosts! Here are a few of the oddities Clovis and I have stumbled across on our travels so far. We have come across some pretty great antique stores, like this one in Augusta. 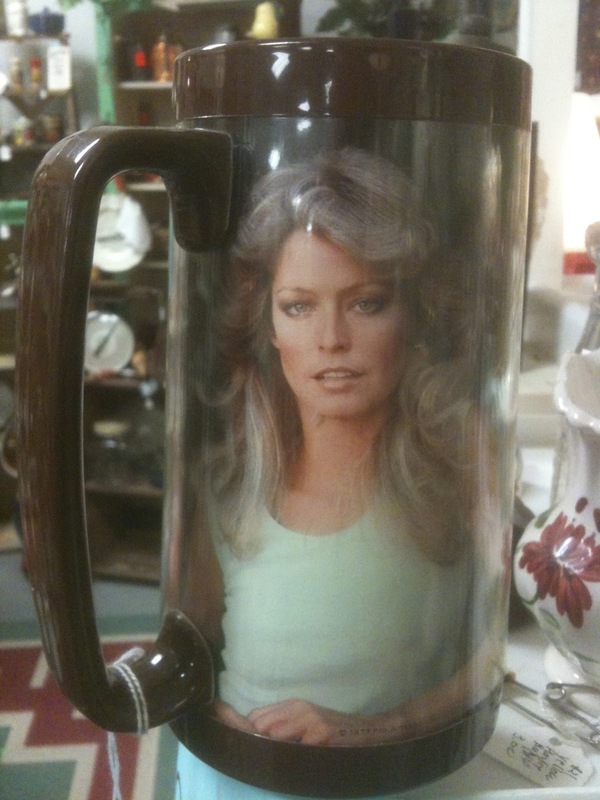 Here's an old Farrah Fawcett mug. Here is a very serious warning to both past and future shoplifters. And here is Clovis on a purple blanket! That Farrah Fawcett mug makes me laugh! 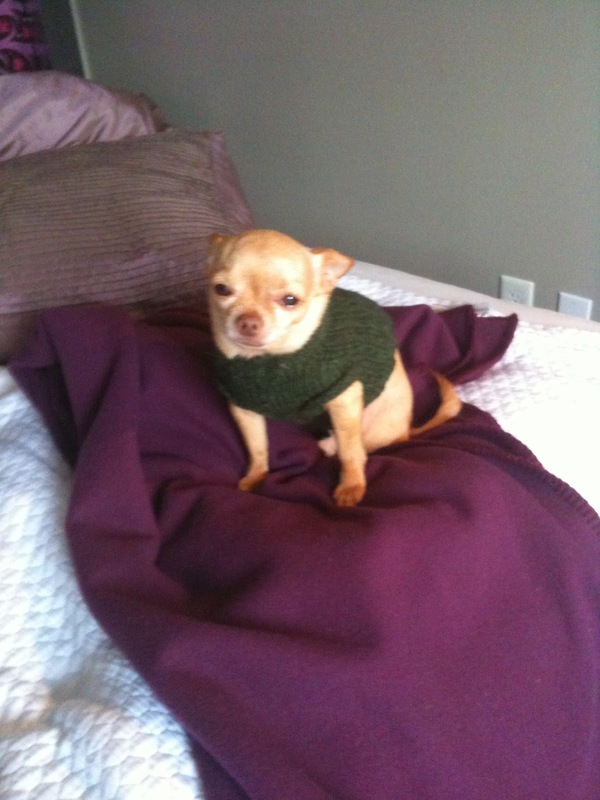 Clovis looks good on purple!